Brock Lesnar will once again be defending his Universal Championship against Roman Reigns. This will be the fourth time the pair have squared off in singles action for a WWE World Title. The first came several years ago at WrestleMania 31 when “The Big Dog” challenged Lesnar for the WWE World Heavyweight Title. Eventually, Seth Rollins would cash-in his Money In The Bank (MITB) briefcase and leave “The Show Of Shows” with the championship. The next time they’d meet occurred at WrestleMania 34 this past April. Reigns challenged Lesnar in front of a jam-packed New Orleans crowd, but this time for the Universal Title. A bloody Reigns was again, however, unable to get the job done. At the Greatest Royal Rumble pay-per-view (PPV) a few days later in Saudi Arabia, Lesnar defended against Reigns one more time inside a Steel Cage. Reigns hit Lesnar with a Spear that sent them both through one side of the cage walls. Both men hit the outside floor but Lesnar’s back hit first, thus declaring him the winner. 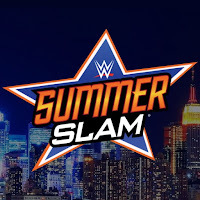 Now, after defeating Bobby Lashley in a qualifying match on Monday Night RAW, fans will see Reigns challenge Lesnar for a fourth time at the upcoming SummerSlam PPV in Brooklyn. WWE Hall Of Famer Bully Ray discussed the matter on Busted Open Radio. Ray presented an interesting theory about the match. Many are expecting Braun Strowman to cash-in his MITB briefcase to leave SummerSlam as champion. “Even if you put the match on first, it’s still just a straight up match and if you still get a straight up finish, it’s really – I don’t know – I think that Money In The Bank briefcase might come into play. Early and late,” Ray said.